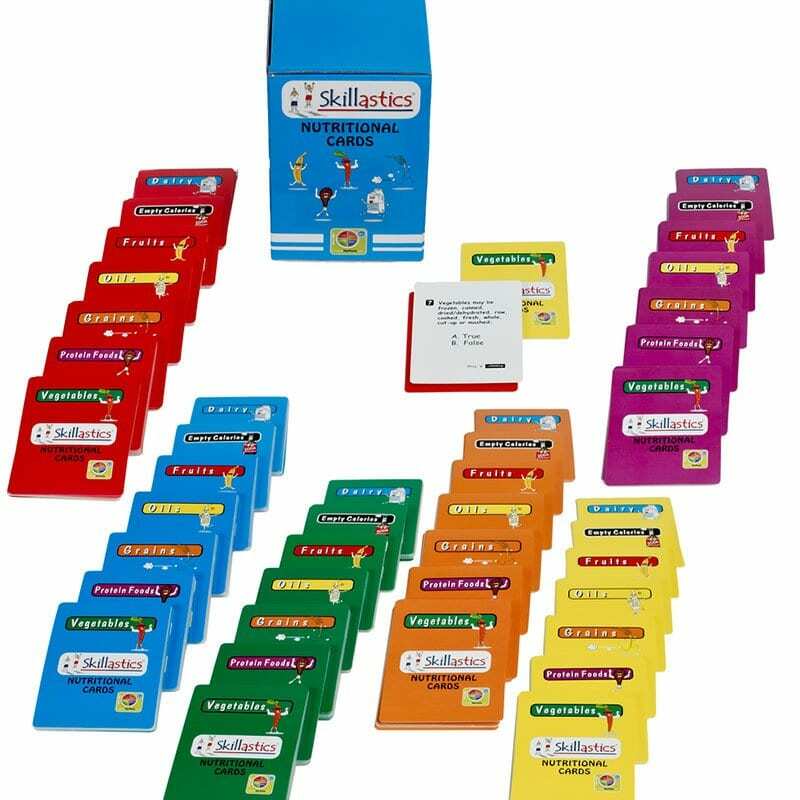 Skillastics® Secondary Nutritional Cards Enhances Nutritional Learning and Enjoyment for Adolescents. Effective nutritional learning can be challenging with adolescents, yet it is essential for developing the capability for making healthy eating choices. 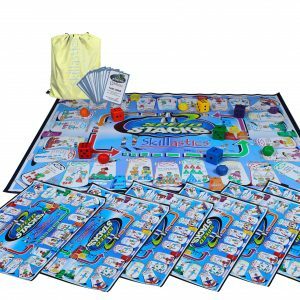 Skillastics® Secondary Nutritional Cards is a powerful resource that combines with most of the Skillastics® Activity Kits and creates an environment of physical literacy and nutritional fun. The questions target the five food groups (dairy, vegetables, protein foods, grains, & fruits), and includes oils and empty calories. 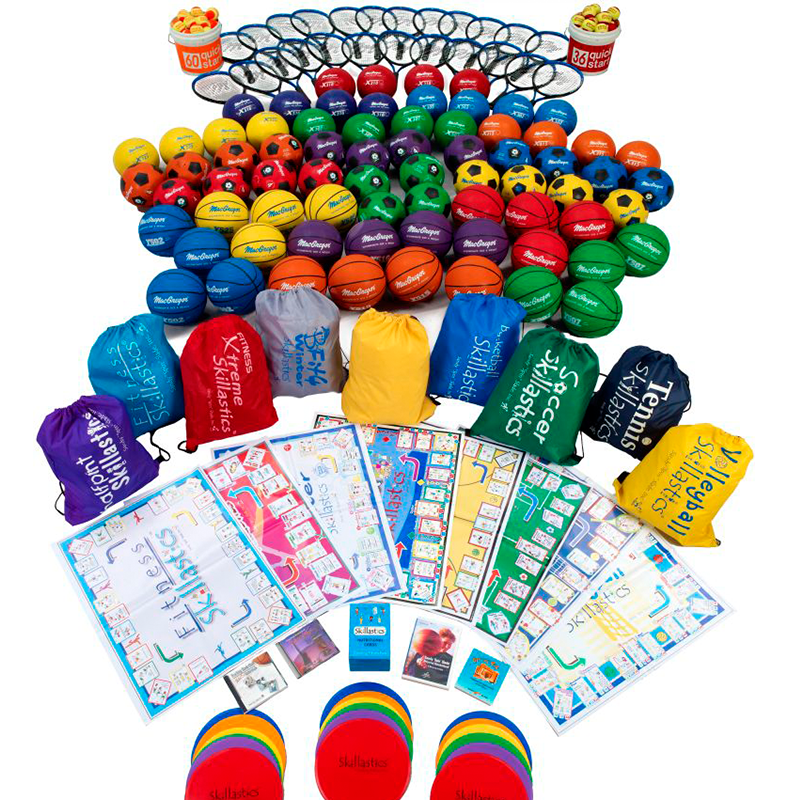 Whether integrated with Skillastics® Activity Kits or used alone, nutritional education has never been so enjoyable! 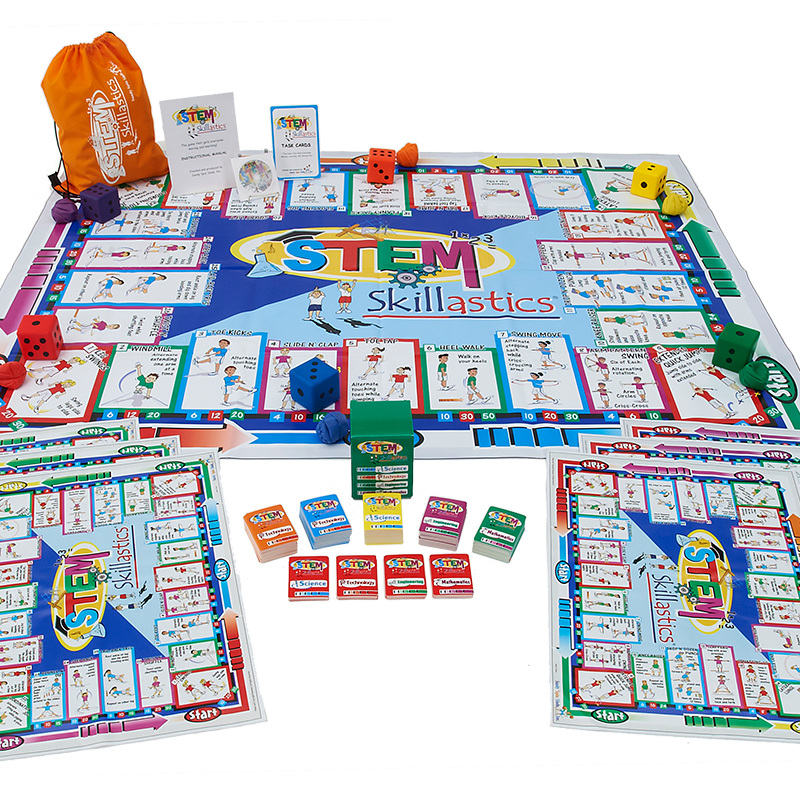 How Do You Integrate Skillastics® Elementary Nutritional Cards and Skillastics® Activity Kits? 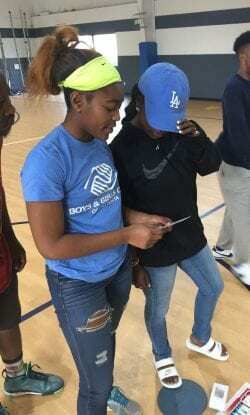 After teams complete the activity together, the child that rolled the dice looks at the color border around the activity just completed on the team’s miniature mat. This child matches the color of the border to one of the 7 nutritional question cards word category color on each card. (These cards are placed in category piles next to each team’s miniature mat). He/she then picks that card and reads it to his/her teammates. The team answers the true or false, or multiple choice question. When completed, the process is repeated with another member of the team. The Skillastics Secondary Nutritional Cards are great for use in the Health or Physical Education environment. 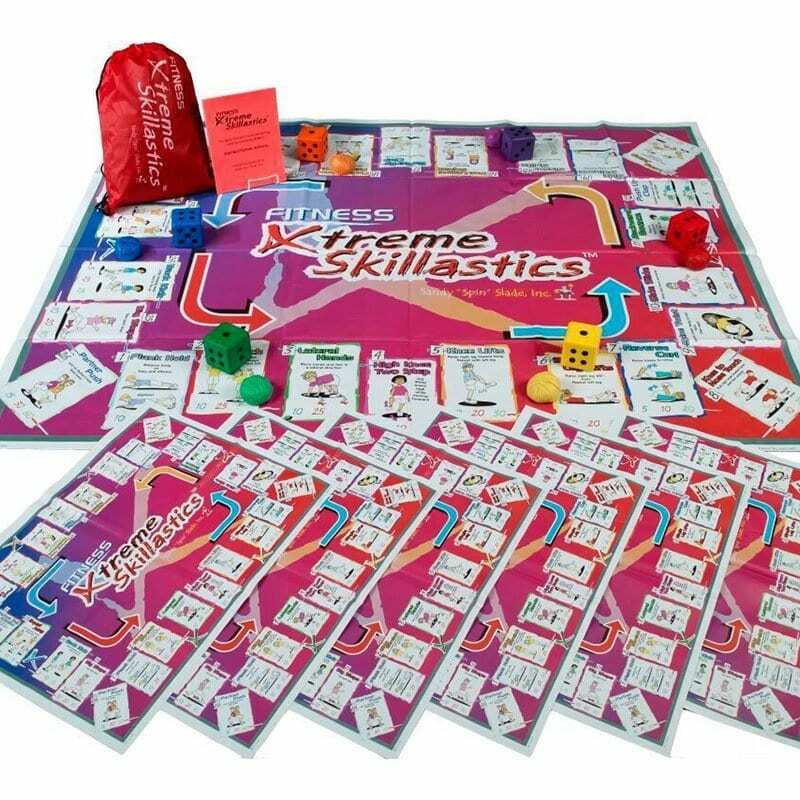 In the Health classroom they are great for allowing student to show mastery of skills learned in the area of nutrition in a fun game format. They are great for reinforcement when groups finish early on assignments too. When we’re in Physical Education class I like to use them to help students connect content from our Health class with our Physical Education class. The pack includes 6 sets of 105 different cards so that students don’t get tired of answering the same questions over and over. The cards are a quick go to resource that engages students at a high level.